젊은 남자 축배를주는 그의 사랑스러운 여자와 함께 와인을 마시는. 사랑은 고급 미식 레스토랑에서 낭만적 인 저녁 식사에서 행복 한 커플. 기념일 또는 발렌타인 데이를 축하하는 사람들. 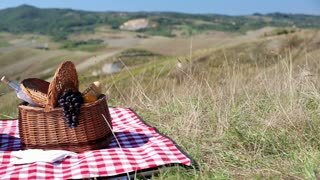 Young beautiful couple dressed casual having picnic in park, eating grape and drinking wine. 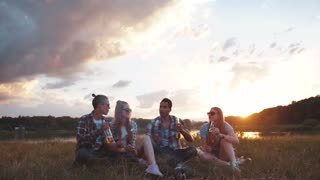 Young happy friends sitting on the grass, talking to each other, laughing, cheerfully toasting, drinking beer and eating fried marshmallows while having the picnic in the nature.